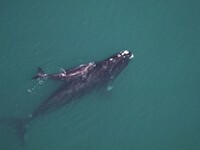 EACH YEAR, the North Atlantic right whale comes to Georgia’s coast to calve their newborns. It’s a tradition that’s unique to our coastline, and it’s also at risk of being lost. In last year’s season, twenty whales surfaced dead. That’s a huge blow to a species with a total population of just over 400. Whale Week seeks to raise awareness about the North Atlantic right whale in efforts to protect them. Photo credit Sea to Shore Alliance/NOAA, NOAA permit #15488. “If the coast of Georgia is not safe and not protected, then we will not have the North Atlantic right whale anymore. It is that simple,” says Paulita Bennett-Martin, organizer of Whale Week and Oceana’s campaign organizer for Georgia. Bennett-Martin explains that the North Atlantic right whale’s calving corridor traces the Georgia coast, going from Jacksonville, Florida to right here in Savannah. Art by Tatsuro Kiuchi for the July cover of The Atlantic. Whale Week kicks off Tues., Jan. 22 with a Family and Friends Night at Juliette Low Elementary School. 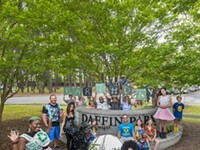 Hosted by Loop It Up Savannah and the Tybee Island Marine Science Center, the event includes arts and crafts about the North Atlantic right whale’s anatomy. 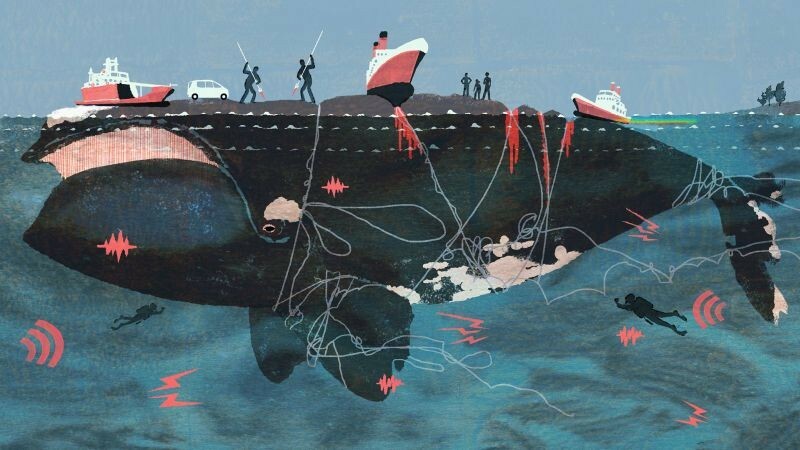 The next night, Jan. 24, is the Lines and Strikes and Life, a panel discussion at Ships of the Sea that includes Cathy Sakas of Grays Reef National Marine Sanctuary Foundation, local artist Tara Garrigan, Gib Brogan of Oceana, and Sharon Young of the Humane Society. The panel is moderated by Dr. Simona Perry. On Fri., Jan. 25, the Susie King Taylor Community School hosts the North Atlantic Right Whale Day. 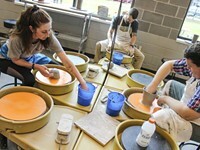 Environmental organizations will be present to help lead activities and learning lessons. “We’ll begin the process of making a North Atlantic right whale quilt that the kids make squares of, and the intention with that quilt is that we get it all the way to the Capitol with kids that can talk about why we need to protect them,” says Bennett-Martin. “Georgia’s Giant: The North Atlantic Right Whale” takes place Sat., Jan. 26 at, fittingly, White Whale Craft Ales. 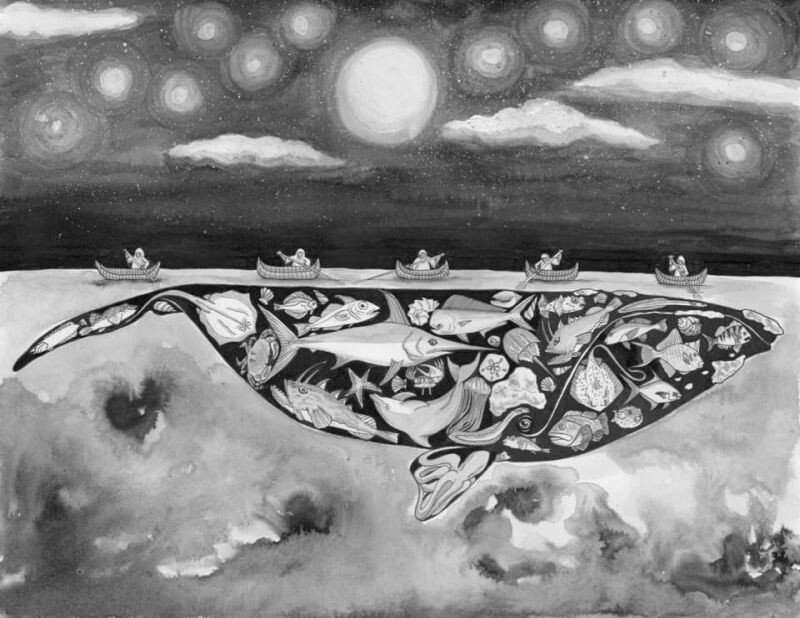 The exhibition of art celebrating the physical and metaphorical beauty of the North Atlantic right whale includes work by Stacie Jean Albano, Tara Garrigan, and Atlanta-based artist Deeds Davis. The week closes out on Sun., Jan. 27 with Whale Yoga at Oatland Island. The yoga session, led by Dr. Doretha Walker, will explore the North Atlantic right whale’s migration and set a mindful intention. The overall goal of Whale Week is to cement the North Atlantic right whale as an important part of Georgia culture that deserves protection. 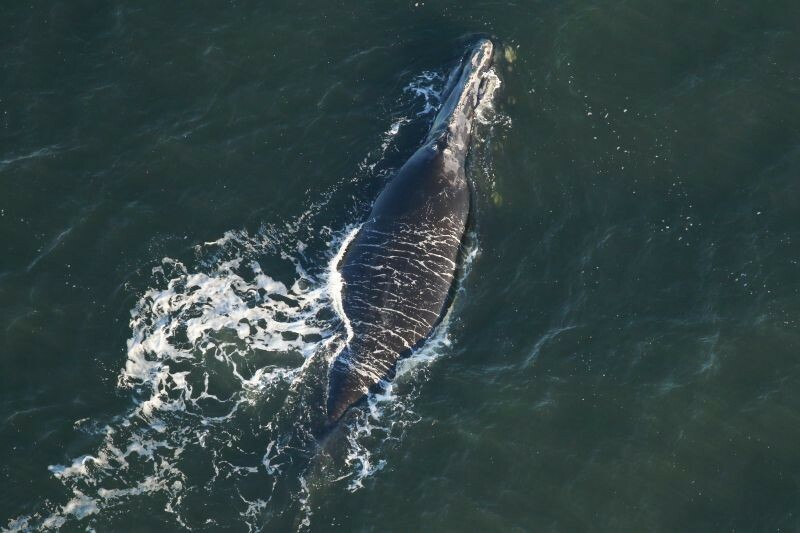 “When the Georgia General Assembly unanimously designated the North Atlantic right whale our state marine mammal in 1984, that effort was led largely by the Georgia Conservancy, a nonprofit organization, and kudos to them on that,” says Bennett-Martin.